"A Christmas Memory" and "Winter Song," the two-show pairing BroadwayWorld called "warm, nourishing, and just exactly what you want on a cold winter's night," returns to Portland Center Stage at The Armory. In "A Christmas Memory," Truman Capote's rural Alabama boyhood comes to life, in a touching portrait of an enduring friendship and tender holiday rituals. This gem of a story is paired with "Winter Song," a collection of beloved tunes and tales that celebrate winter and all it represents: love, nostalgia, family, renewal and warmth, created by Brandon Woolley and Merideth Kaye Clark. "A Christmas Memory" paired with "Winter Song" opens Nov. 30 and runs through Dec. 30 in the Ellyn Bye Studio. Woolley returns to direct, while Clark (Elphaba in the First National Tour of "Wicked," Cathy in "The Last Five Years" at The Armory) and Leif Norby ("Astoria" Part One and Two" at The Armory) reprise their roles. "It is truly a gift to be able to return to 'A Christmas Memory' paired with 'Winter Song' this holiday season," Woolley said. "We hope audiences will enjoy sitting back and letting the words of Truman Capote and the lyrics of some of the best songwriters of our time fill you up during this winter season." Regular tickets start at $25 and are on sale now. Tickets may be purchased at pcs.org, or by calling 503-445-3700 or in person at the box office, 128 N.W. 11th Ave., Portland. Rush tickets are $20. Students and patrons who are 30 or younger get 50 percent off the price of premium tickets. Other discounts are available. Performance times are Tuesday through Sunday at 7:30 p.m., Saturday and Sunday matinees at 2 p.m.; Thursday matinees at noon. The show is recommended for ages 12 and up. 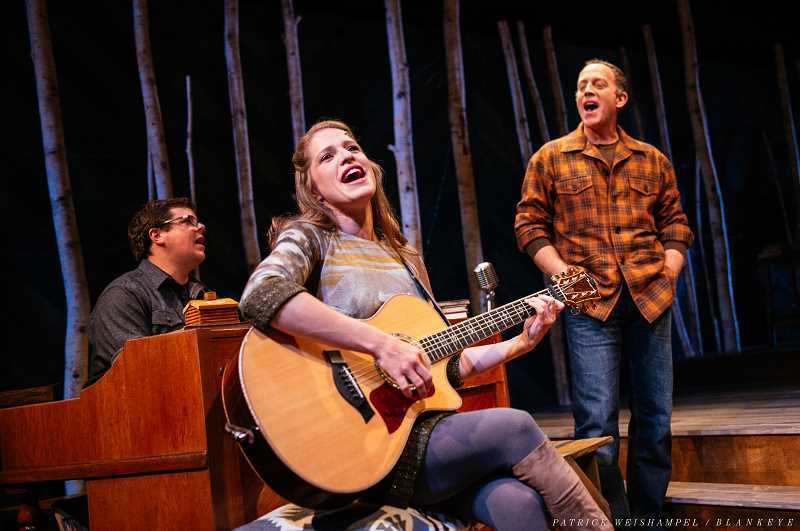 This year's production of "Winter Song" will include new songs and stories. The co-creators are also recording a "Winter Song" concept album featuring songs and stories from the show, which will be available for purchase throughout the show's run. Learn more online at pcs.org/winter-2018.